Well this is not exactly hot off the press, and the digging dad’s army blog gives the full scoop (groan, shameful pun) on what transpired, but the main message I got from the Eaglesfield dig was that the ww1 gun emplacement for bringing down zeppelins could perhaps be put on display, with an information panel like the one at the mayplace lane bronze age barrow. 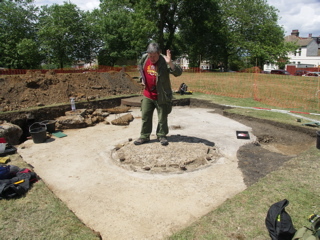 Description: Art, Music and Archaeology, celebrating, LCC Open Air School in Shrewsbury Park. Description: Music by Skinners Rats the best barndance band in the business (apparently). Description: The group visits this fine church and hears its history. Refreshments are provided. Just turn up at the Church in Stratheden Road, Blackheath Standard. down at the woodlands farm today it was bliss: as we lazed around on straw bales in the back field the sun streamed down on us and we tucked into ice creams and watched the sheep getting their summer haircuts. the golden fleeces would have pleased jason and the argonauts i’m sure. the bromley beekeepers were out in their masses selling jars of woodlands honey for £4 a go which the local hayfever sufferers were snapping up in readiness for next year. aside from it’s rumoured medicinal benefits, woodlands honey is also extremely sweet. the woodlands willow grove was also getting a haircut today with garden obelisks on sale for £8 which would make a lovely gift for a sweet pea or a clematis. fine willow baskets were also on offer. there were all sorts of other things going on too; wool spinning, kid crafts, an adventure playground, pony rides, owl stroking, giant rabbits, tugs of war, and information on the history of the farm, which is, i believe, london’s last real farm. this was a bit more low key than previous events, such as the last lambing day, which was a complete roadblock and had all the atmosphere of oxford street on christmas eve; but perhaps that’s not such a bad thing as it was a very calm and enjoyable way to spend a lazy sunday afternoon. Description: The Eaglesfield Park Neighbourhood Watch Scheme is hosting their second free, family event to help foster community spirit, and promote the benefits of local neighbourhood watch schemes. Take part in fun activities, stands and stalls, and get to know the people that help make our community great. Meet the Shooters Hill Safer Neighbourhood Team; Lewisham Mounted Police; Woolwich Army Cadets; Eltham Fire Brigade; British Transport Police, Woolwich Scout Group, Shooters Hill Lawn Tennis Club; Woolwich and Plumstead Bowls Club, local Friends’ Groups – to name but a few! Have your face or hands painted, take part in the raffle or try some of our yummy home-made cakes. Event opens at 1pm by PC Cliff Graham, raffle draw 3pm. 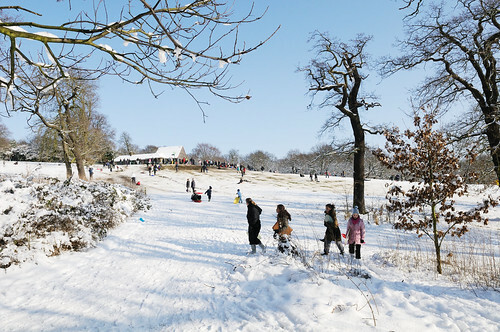 Eaglesfield Park is situated at the top of Shooters Hill, London SE18. 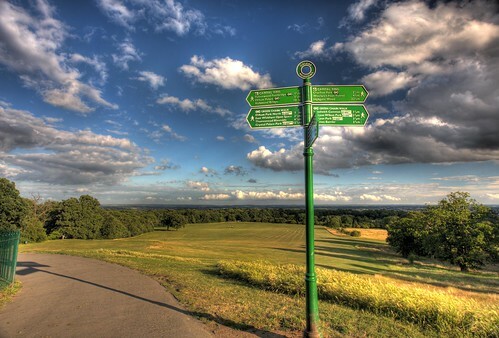 It is the second highest point in Greater London, and boasts panoramic views over Kent. 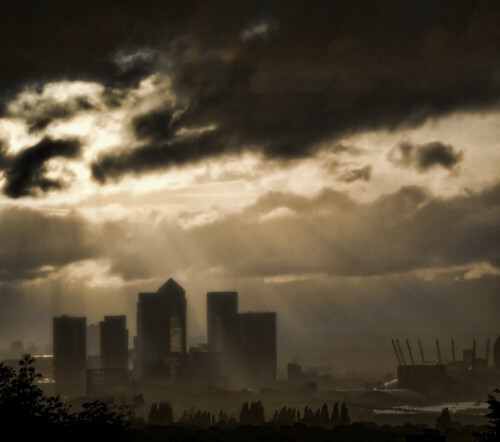 The park can be reached by the 486, 89 and 244 buses, with the nearest train stations at Welling, and DLR at Woolwich.